The Recording Collective is releasing two new singles in anticipation of their upcoming EP, Yes and Amen. The Recording Collective released Love Won't Let Me Down as the project’s first single in early January and will release Yes and Amen, the title-track, Friday, Jan. 25 on digital platforms. The five-song EP, now available for pre-order, releases Friday, Feb. 8 and features gospel-influenced congregational arrangements of popular worship songs also including Who You Say I Am, Reckless Love, and What a Beautiful Name. Read More The Recording Collective is releasing two new singles in anticipation of their upcoming EP, Yes and Amen. The Recording Collective released Love Won't Let Me Down as the project’s first single in early January and will release Yes and Amen, the title-track, Friday, Jan. 25 on digital platforms. The Recording Collective was launched by the team at MultiTracks.com with the goal of creating recordings that are a resource to worship leaders and listeners in multicultural congregations around the world. 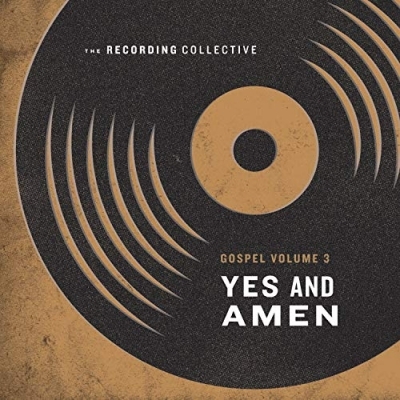 Yes and Amen will be the third volume The Recording Collective has recorded and released. "Our hope is that listeners will resonate with the music and worship leaders will find the songs helpful for their congregations. There are a growing number of churches that place a high priority to have multiple styles of worship represented on Sunday morning. This project is a resource to help serve worship leaders and their congregations," says Phillip Edwards, founder of MultiTracks.com. "We hope that congregations who haven’t encountered some of these top songs on MultiTracks.com will discover them in a fresh new way." Grammy award-winning Producer Chris Baker has been a part of The Recording Collective since its start in 2016 as The Collective’s producer and says the project fills a great need in the local church. "Being a worship pastor in a local church, I see a huge need for material that can occupy both spaces - contemporary and gospel. I think the EP will supply something that has been needed for quite some time and it’s an answer to prayer for a lot of local pastors and worship pastors. For pastors wondering how their team can do music that not only speaks to one demo or one ethnicity, I think this project is the answer," Chris shares. “At the core of the project is to always be authentic. Diversity is so important in the worship genre. It has to be a priority and the heart of every pastor and the local church. It’s what God is looking for - it’s what he died for."